Even though you might have a face for radio, your website still needs to have a smiling presence on the internet today. Modern radio isn’t just about listening to the songs or content that come over the airways. It also involves providing an interactive medium for listeners to engage your on-air talent, find out what the info of the song was that just played, or just learn more about events that are coming up in the community. These are the best Joomla radio station templates that can help you achieve all of this… and so much more. 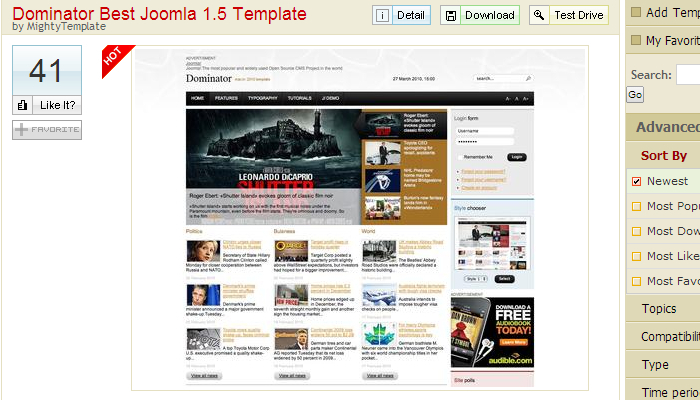 This Joomla template is perfect for those who are in media and it is completely responsive. 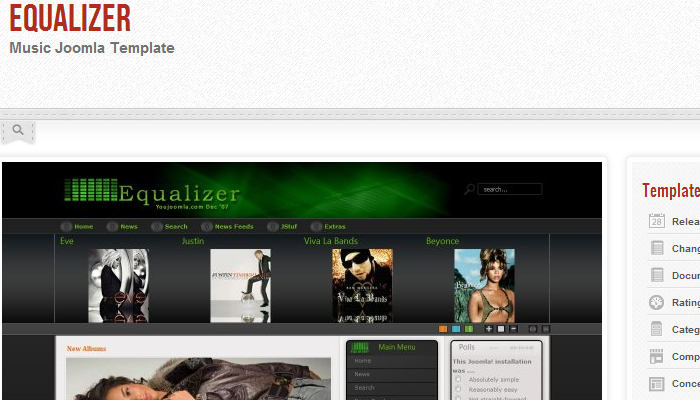 It utilizes the Boostrap Framework and includes jQuery to help provide slider components to your site if you want them. It does a great job at incorporating social media platforms into the site and you don’t have to install any extensions because everything you need is right there. Different color options help provide a higher level of customization and the quickstart package is pretty comprehensive if you just want to get going quickly. One of the aspects of the modern media website is that there is just tons of information on the home page for a visitor to find. Dominator provides this information in an aggressive way that isn’t unfriendly, but instead puts all of the highlights of your website together in a glance. There is plenty of room for advertising integration, membership capabilities for exclusive content, and plenty of ways to invite users to listen to your live stream. This three column radio station Joomla template has 13 collapsible module positions and 3 color options to get your web design off on the right foot. There are also font and width switchers to give you an added level of customized and image reflections for a classy look. It’s also one of the fastest loading templates available, offers font resising automatically, and can be adapted to both 1 and 2 column layouts if you prefer as well. It’s 100% tableless too. If you want a decent free radio station template, then this one has the goods to deliver the results you want. 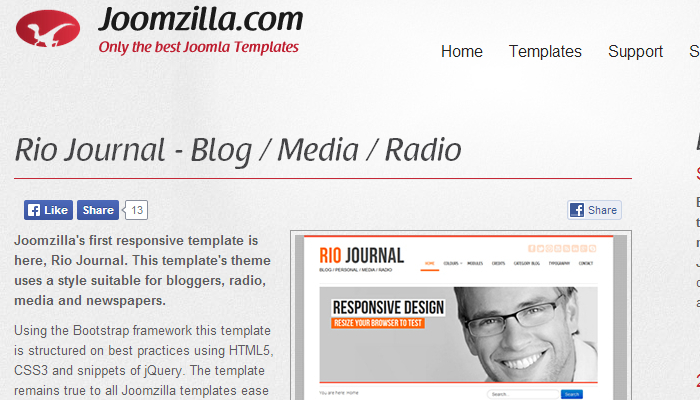 Menus are on the right-hand side and graphics dominate the header of this template. The information you want is right up front, there’s membership options available, and plenty of other good stuff that will help you fully customize this template to meet all your needs.